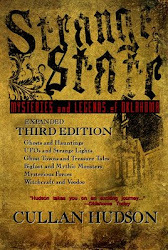 Strange State - Paranormal Mysteries: Champ Video So REAL It Was Pulled?? Champ Video So REAL It Was Pulled?? According to the anonymous writer of a comment on Cryptomundo, the recent video from Lake Champlain that purports to show its famed Loch Ness-style monster was removed from YouTube because it reveals the truth. To wit, the creature is REAL! But it's curious that the commenter also notes that the auteur of the video now wants 4,000 dollars each for first generation copies. The intimation seems to be that some sort of conspiracy is afoot, but considering the ABC video originally aired in 2006, it may simply be that the video has aged out in favor of others. I've often been disappointed to find that a link to a story or video no longer exists because that space was needed for something newer or more popular. 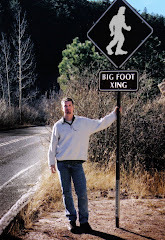 But if it were a video so compelling in its veracity and authenticity, then it would be scrutinized countlessly, much like the P/G bigfoot film. It's likely that ABC had limited rights to the video in their deal with the guy who shot it and those have now aged off or if the YouTube account wasn't ABC's, the video was pulled because it infringed upon the copyrights of either the network or the video's owner. In short, there exist myriad explanations far more mundane than conspiracy. That's such a huge problem when gauging the credibility of those breaking into the video field with all its market presumptions. Profit is always a great motivator, one that influences the invention of fakes, hoaxes, and problem children. Fortunately, the great majority of those willing to accept as real such fakes, hoaxes, and problem children have no need or desire to examine credibility as an issue. I guess it works for some people.